He is a real bearded Santa in Old World Santa Suit who is also a professional musician. She is a former teacher and an expert on interacting with kids. Santa and Mrs. Claus tell stories about the North Pole, reindeer and more and engage children with a Santa singalong. Typical 1 hr. event includes a grand entrance with lots of Ho-Ho-Hos and Merry Christmases. Stories, music and a photo op and individual chat with each child. Grand exit. They were great, interacting with all children and adults as well. I would definitely have them again. Price was affordable too. Thank you! Amazing crafts at the fair. Very very good. My second year with them and would hire again! Thank you. The Clauses always enjoy your event. Santa and Mrs Claus arrived right on time for our event. Had all 23 children mesmerized. Took the time to sing a couple of songs and read the night before Christmas. Then each child on his lap and he had put together a naughty and nice list where each child had their name and something about them and reports from their "Elves". A fantastic time was had by all! Thank you so much for your great review. The Clauses had a great time. The Children were wonderful. 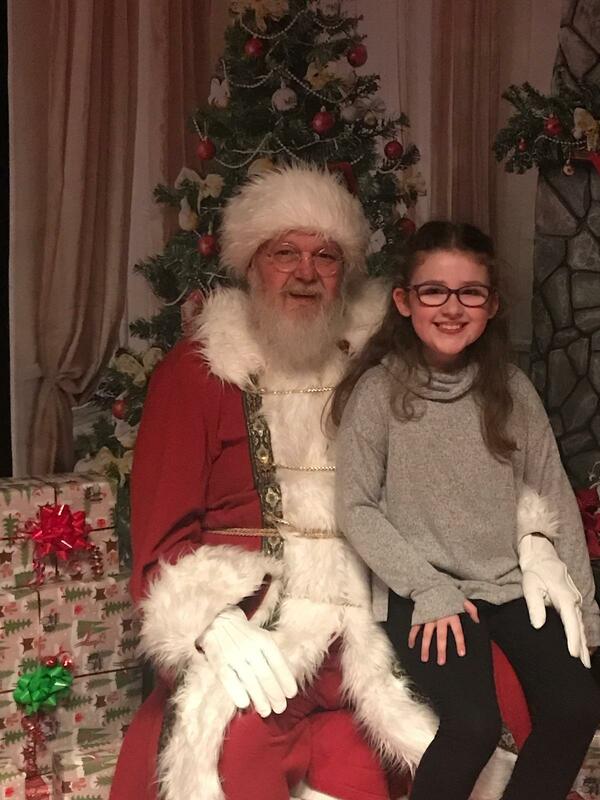 Our family had a terrific experience with Mr and Mrs Claus. 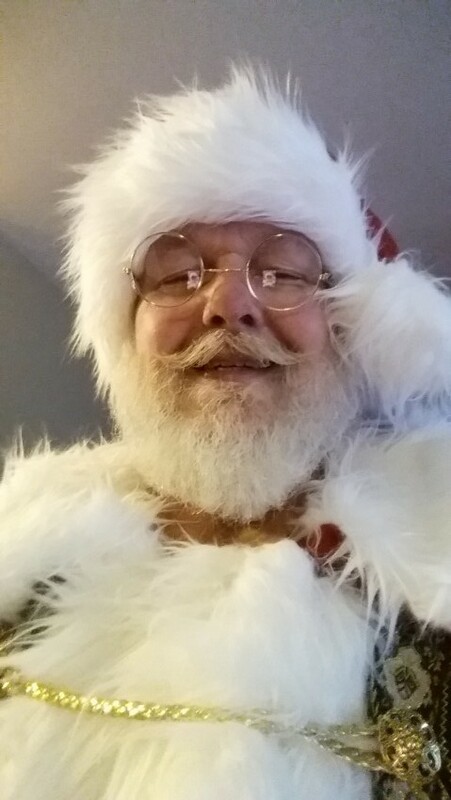 Santa had a wonderful demeanor with the children and was truly a class act and charming personality. He sang a few Christmas songs with the kids and they loved it! Thank you for the 5-star review. It was a joy working with your family and hope to see you again next year. Best Santa and Mrs. Claus Team! 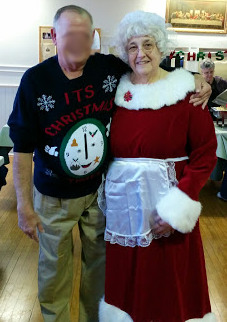 Santa and Mrs. Claus were fantastic in every sense of the word. Excellent communication before the event, very easy to work with throughout the entire process, and prompt! They handled our large school event with grace and made each child feel so special. They take the time to speak with each child, this is not just a photo op. 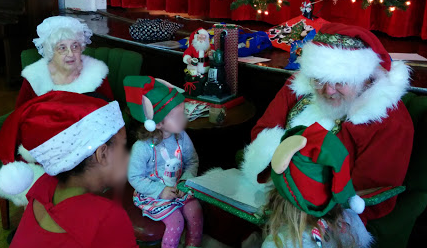 Next time, I will plan more group time with the Claus's, I can't wait to hear Santa sing! Thank you so much for making our night amazing. Tall, great looking Santa. Good for pictures. But almost no interaction with children and families. That part disappointed. Santa is sorry you were disappointed in his performance. This was a dance recital and Santa was given a microphone to speak to the students and audience. Unfortunately, every time he turned on the microphone there was a loud feedback squeal. This made the microphone unusable. The size of the space and background noise level made talking without the microphone impractical. It is also odd the reviewer would say he did not interact with the families and children. 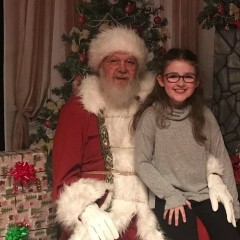 After the recital finished, Santa was directed to a chair where he sat and spoke with children and adults as well as posed for pictures. Any child or adult wishing to speak with Santa was given as much time as they desired. He encouraged any near him to come over. In fact, Santa gave the dance studio an additional half hour, without charge, as people continued to pose and talk with him. If you have any suggestions as to what I should do at a similar event, I would be happy for the advice. I highly recommend them, they are true professinals. Santa and Mrs. Claus were such a delight. The two were such professionals throughout the whole event. The kids loved them and the adults were very impressed. The kids took pictures with Santa and even the adults wanted to take part in it. It was such a great event, we will definitely have Santa and Mrs. Claus back next year. Thank you so much!!!!! Thanks so much for your kind review. It was our pleasure. Santa and Mrs Claus are you looking forward to seeing all of you again next year. Thank all of you at the Naval Station for your service. 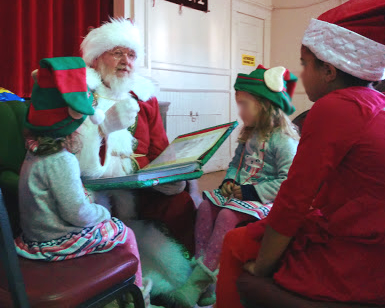 Santa and Mrs. Claus arrived on time, immediately greeted and engaged the children with stories and songs. Santa and Mrs. Claus were warm, gracious and fun! Ample time was offered for photo ops. Santa and Mrs. Claus had soft voices which did not intimidate the children. We enjoyed them very much and would definitely hire this beautiful couple again-their energy radiated to all present. And we now have two new friends! Bob and Gail. *i don’t know how to send photos but will see if someone else can at a later date. Thank you so much for your kind review. 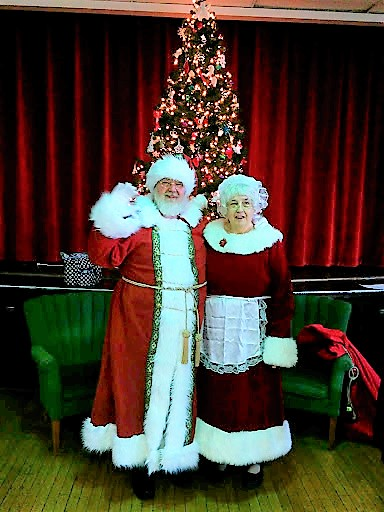 Santa and Mrs. Claus had a wonderful time and hope to see you again next year. Santa -- As a musician, He has performed in front of audiences for over 30 years. For the past 15 years when he puts on Santa's Suit he becomes Santa. Mrs. Claus -- As a former pre-school, elementary, and special ed teacher, she is uniquely qualified and passionate about working with children. We love working with special needs children. Recent review: Everyone went nuts over him. Thanks for an awesome event!